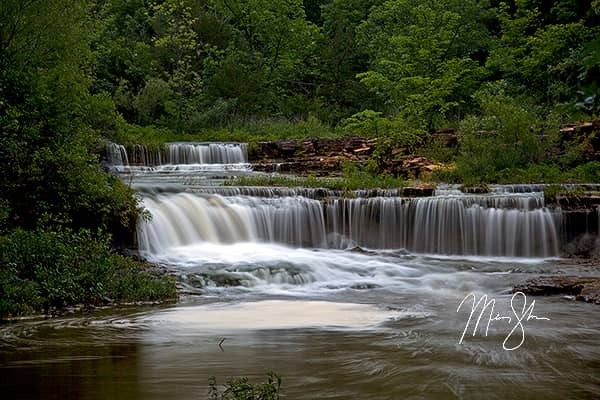 Rock Creek Lake Falls near Fort Scott, Kansas are nothing short of spectacular in the spring when water is really flowing. 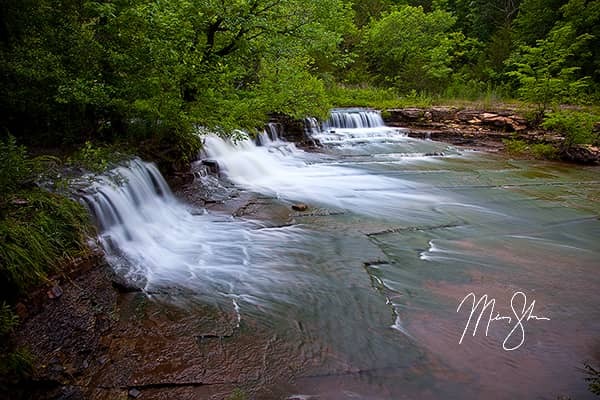 While not the tallest or larger, there are so many smaller falls cascading over 3-8 foot drops as they flow down to the Marmaton River. 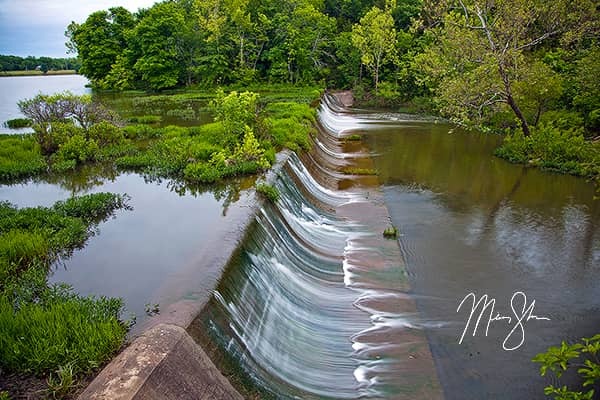 As water levels were high when I visited, the lower area was a mud-pit to walk through, but totally worth it for the photos! 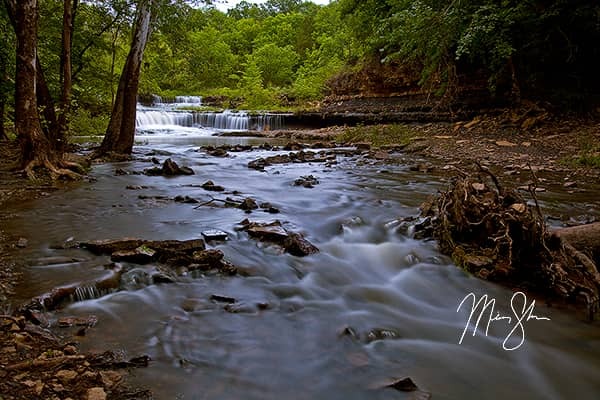 Rock Creek Lake Falls are easily one of my favorite falls in Kansas!